In 2006, Ryan Spaulding bought a new computer with the idea of starting a blog dedicated to Boston’s vibrant music scene. He gave it a name that seemed to counter the humdrum nature of his day job at a medical-device company in the suburbs. He called his music blog Ryan’s Smashing Life. Spaulding couldn’t foresee that six years later his life is finally living up to that title. Last Sunday Spaulding took his online clout to the airwaves with the premiere of a new TV show on myTV38 , a local affiliate owned by CBS. 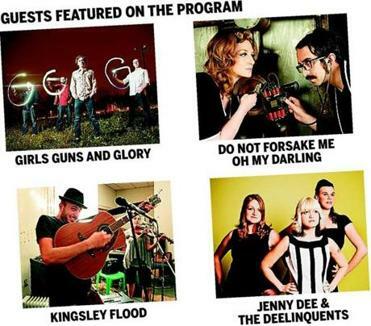 “The Bubbler,” the first such program in New England hosted by a music blogger, is a valentine to the various independent artists making music across the region, from Americana acts (Girls Guns and Glory) to hard rock (Do Not Forsake Me Oh My Darling) to retro soul (Jenny Dee & the Deelinquents). The show, filmed in 30-minute segments, will air Sundays at 11 p.m. for a total of eight consecutive weeks, with the possibility of being picked up for an additional run depending on its success. The conceit is simple: Spaulding and his crew film on location at storied venues such as the Middle East, Paradise Rock Club, Rosebud, and T.T. the Bear’s. 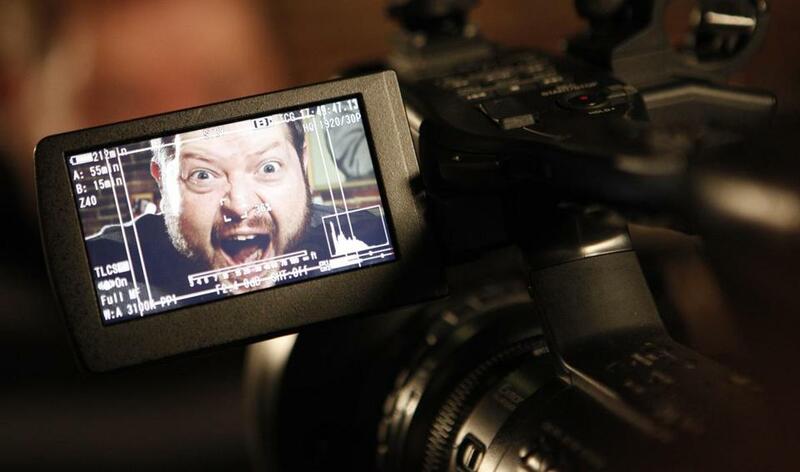 Spaulding — who’s 36 and has a degree in journalism and once worked as a newspaper reporter — interviews bands and has them introduce one of their music videos, which the viewer then sees. Spaulding, who describes himself as “a music fan first, a journalist maybe second,” does both his blog and TV show out of his intense love for local music. 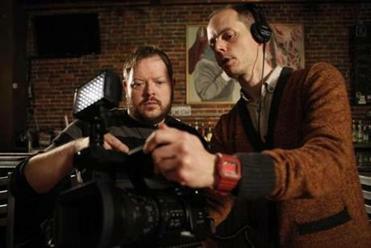 Ryan Spaulding (left), who describes himself as “a music fan first, a journalist maybe second,” reviews some film for his show “The Bubbler” with director and coproducer Jonathan Case at Radio in Somerville. “The Bubbler” also shines a light on characters who are instrumental behind the scenes. 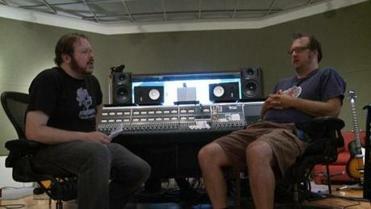 Producer and label manager Ed Valauskas is interviewed about the history of Q Division, the fabled Somerville studio where James Taylor, Aimee Mann, and Morphine once recorded. Jonathan Case, the show’s director and coproducer along with Spaulding, was responsible for bringing Spaulding on board. Case says “The Bubbler” was an easy fit for myTV38, particularly given the strong local angle. Case had never met Spaulding before working with him, and he was pleasantly surprised to learn Spaulding was a natural on camera, especially after his first physical impression of Spaulding. Indeed, Spaulding is larger than life. Literally. At 6 feet 2 inches, with a beard and the occasional pair of glasses, his head bobs above most others at shows big and small. One week you’ll spot him in the VIP section at the Paradise, pumping his fists to Alabama Shakes, and then a few months later he’s mingling with the locals in a field at a music festival in Jamaica Plain. He’s perpetually a man about town, to the point that you wonder how he maintains his blog, parties till last call, and then is back in the office the next morning. 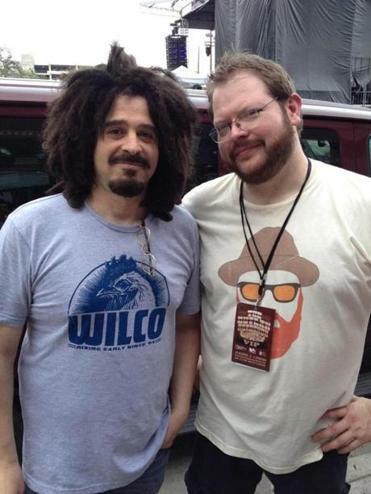 Spaulding with Counting Crows frontman Adam Duritz in March at the South by Southwest music festival in Austin, Texas. Spaulding, who grew up in Vermont and moved to Boston in 1998 for a job and a fresh start, prides himself on that reputation. The evidence is all over the apartment he shares with his sister. The walls of his living room are lined with all manner of Bob Dylan ephemera; above a door frame rest vinyl LPs of bands both local and national. On an adjoining wall is a framed photo of Wilco’s Jeff Tweedy performing in Lowell. Spaulding is perhaps the Boston music scene’s most restless salesman. His focus is on homegrown. The opening credits of “The Bubbler,” a rather New England term for a water fountain, feature a song by the Beatings, a local rock band. In one of the show’s more humorous segments, comedian Steve Macone conducts person-on-the-street interviews with concertgoers. “If in any way we make life easier or more rewarding for any of the musicians here, or any of our readers or viewers? It’s totally mission accomplished,” says Spaulding. His zeal and positive approach – you’d be hard pressed to find an unkind word on Ryan’s Smashing Life — have earned Spaulding some high-profile fans. Adam Duritz, frontman of the Counting Crows, was reading his blog before he ever met Spaulding. According to Spaulding, the traffic for Ryan’s Smashing Life grew accordingly – from 10 people daily that first month in 2006 to 13,000 on a single day in 2008. He taught himself the mechanics of building a blog, and his ambitions got bigger as his profile expanded. In 2007, he started booking shows around town and quickly learned that the experience drew him closer to the musicians he championed. “The Bubbler” feels like an extension of what he’s always done with the blog, but on a broader level. He’s no longer just a local music blogger; he’s a tastemaker.